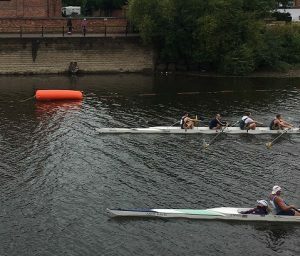 With a total of 34 pots collected from 6 boat wins and a turnout of 26 competing crew members, Loughborough Boat Club continued its stunning Summer success at a rainy Bewdley Regatta. A tricky combination of gusty wind against a rising and choppy stream made a change to the recent smooth flat calm conditions, and the happy campers who had only packed a couple of T-shirts for the weekend were damply reminded of why staying in a B&B is the chosen option of the older and wiser club members. 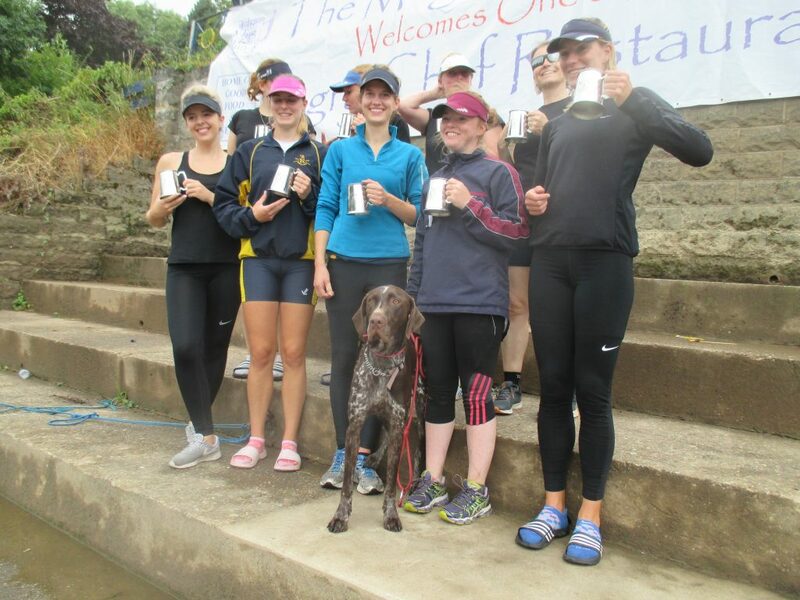 Highlighting the weekend were wins for three different combinations of Eights: the Young Ladies, the Not Quite So Young Ladies, and the Ever So Slightly Older Mixed Masters. 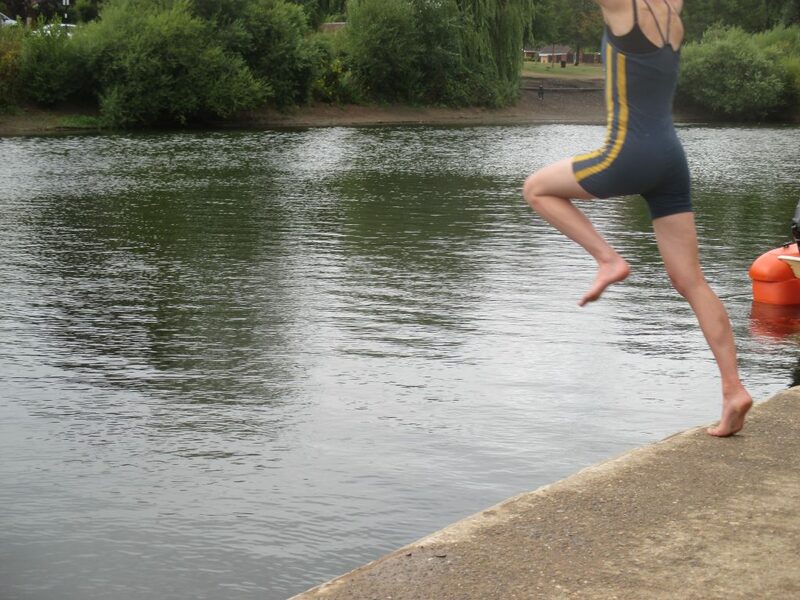 Congratulations to Sophie on her first ever pot, and on her brave celebratory leap into the murky depths of the River Severn, after being given the helpful advice from local onlookers to ‘take off anything you don’t want to get wet’. The irrepressible Rachel filled her boots in the cox seat over the weekend, and was even allegedly seen hanging around on the boating stage corner offering her services to all comers. However, her scary whiplashing was not quite sufficient to drive the Masters E Four to victory in a neck and neck race against Stourport, which was lost by a tiny twelve inches on the final stroke. But by ditching Captain Keith in favour of a more Enterprising Scotty the old men made up for it with a satisfying victory over the host club, in a previously untried Quad expertly steered by Nick – in spite of sifting the bank-side shingle in his search for gold! With the notorious hay bales absent, and replaced by a bright orange floater, even Mike was unable to avoid crossing the finish line, and he scored a notable victory in his silky-slided single against strong opposition from Minerva Bath. There was less success for the Juniors this time round, but some useful experience gained for Isabelle and Lily, as the club continues to turn out promising young crews.